(Ballybritt Barony) Kinnitty Civil Parish encompasses a large part of the northern Slieve Bloom Mountains. 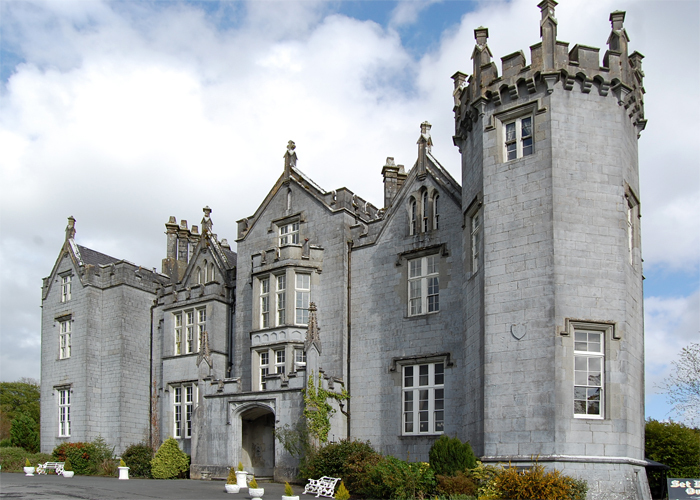 Kinnitty derives from Ceann Eitig or Head of Eiteach (a princess in prehistoric times). It was part of the ancient territory of Ely O’ Carroll and bordered , at the Camcor River, with the neighbouring O’ Molloy territory of Fear Ceall. 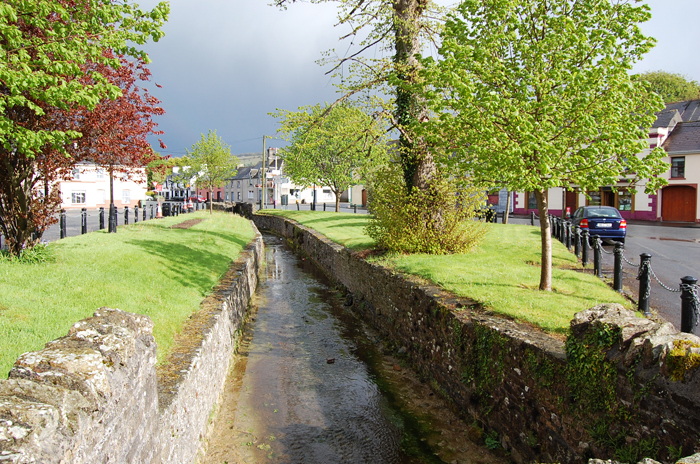 The Camcor River also represented the ancient border between the provinces of Meath and Munster. The Barony of Ballybritt in which Kinnitty is situated gets its name from the Norman family of Bret. 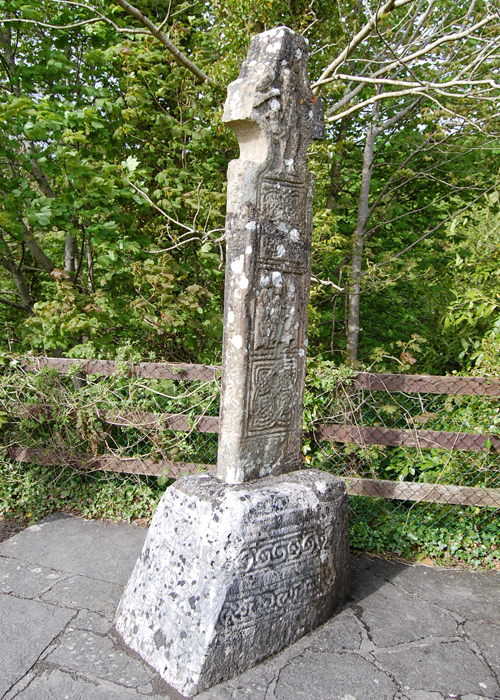 St. Finan, the patron saint of Kinnitty, founded an abbey at Kinnitty in the year 557A.D. Where the Church of Ireland stands today. He died on the 7th April, the year being uncertain. This church was built on the ruins of a Catholic monastery in 1847 with the first stone being laid by Capt. Bernard and was recorded in the King’s County Chronicle. 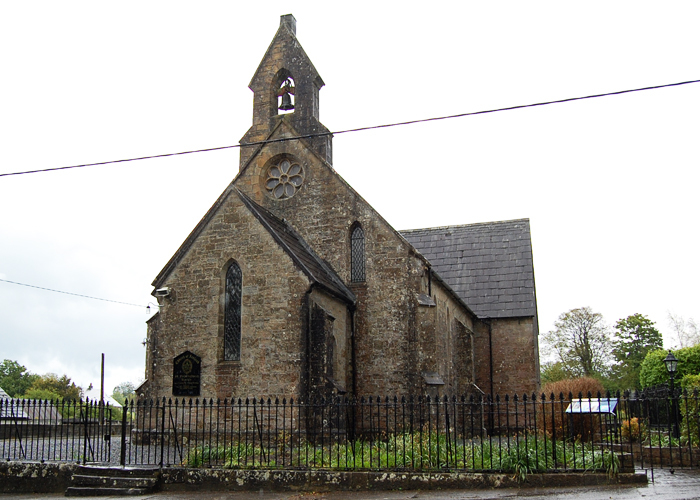 Old Kinnitty village was just above the church and the new village was planned at this time. The slates for the church came from the quarries at Cumber overlooking Knocknaman. Church of Ireland, Kinnitty. Site of St. Finan Cam’s Abbey. 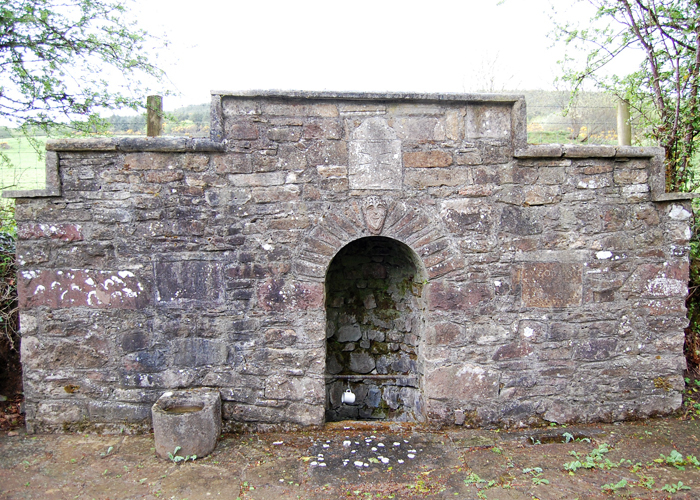 St. Finan’s well is situated one mile south of Kinnitty in the townland of Cumber. It was restored in 1988. Local families, when passing the well, would always get down from their horse and cart, take a drink of water, bless themselves and then continue on their way. 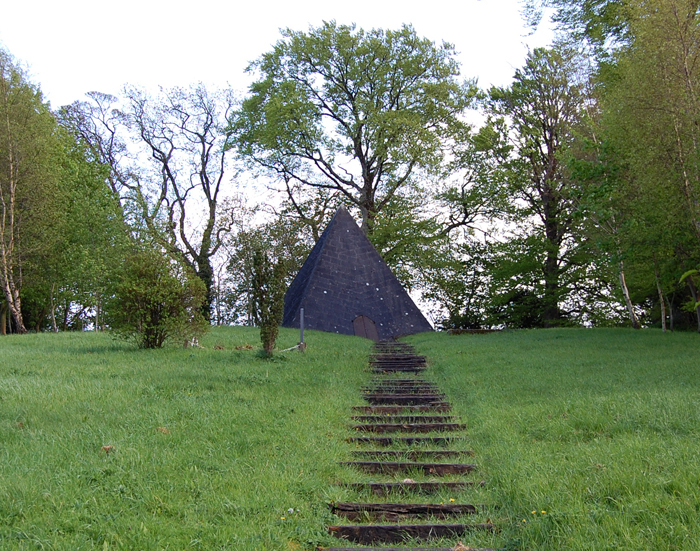 In 1830 the Bernard family decided to build a pyramid as a mausoleum for their family. It was completed in 1834 and is thirty feet high. Six family members were interred there, the last in 1905. The first to be buried there died when she was just 24 years old, following a bite from a rabid dog. The site is in the shape of a keyhole. This was common in Eygpt where there is a similar shape devining device called an ankh. The well at Lemonaghan also has the same shape. It was built in 1630 by William O’Carroll on the ruins of an Augustinian monastery which dated back to the 12th century. In 1641 a rebellion broke out and the O’Carrolls naturally fought on the Irish side. They were defeated and the castle and estate were confiscated.